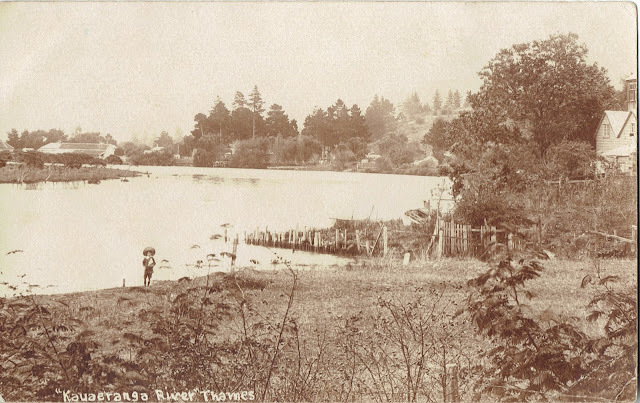 What a joy it is to find a new postcard of Thames, and at a reasonable cost! 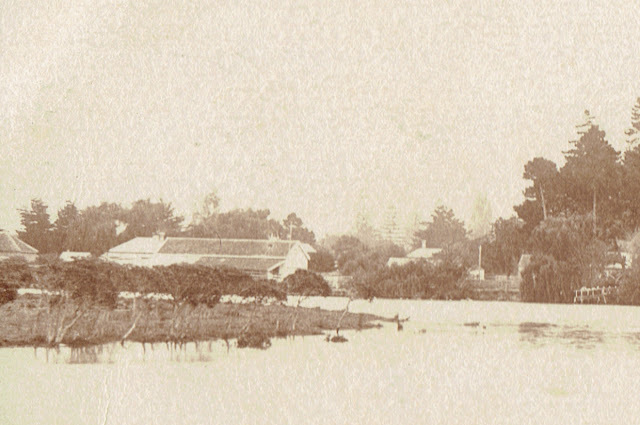 This postcard of the Kauaeranga River is taken from the area below present day Herewaka Street. A young boy poses for the camera near the Kauaeranga River. It a high tide or maybe the river is in flood. In the distance (lower photo), are the houses and businesses on Bank Street. There were stables, abattoir and stock yard in the earlier days.